Today a group of incredible people will leave Tulsa to go to Haiti to share the love of God in tangible ways. Jesus told us to go into all the world...to teach, share and make disciples. Our goal is to put Jesus in front of people so that they can respond to Him by the power of the Holy Spirit. Please join me in praying for Team Haiti as they travel and minister as the Lord creates opportunities. 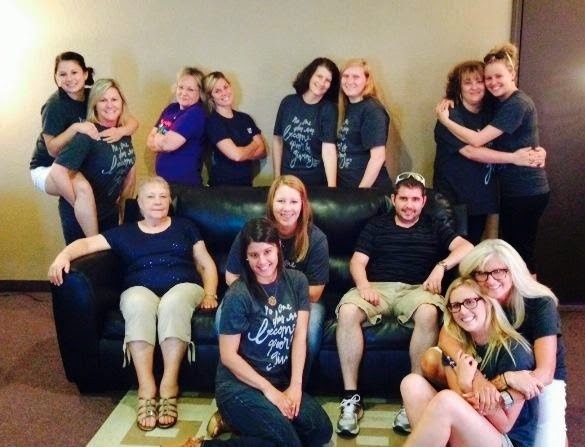 Oh, and as you can see in the picture, my buddy Derik will need prayers too traveling with all of these women! God bless all of you and may the Lord do some amazing things through you and for you this week!